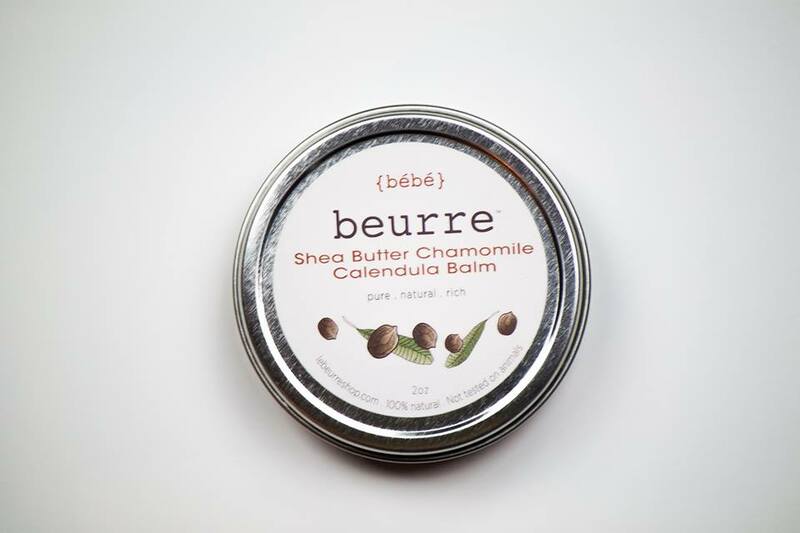 Beurre Bebe Shea Butter Chamomile-Calendula Balm is an all-natural healing balm for scrapes, bruises, burns and scratches for toddlers and young children. Can be used as a soothing and healing diaper rash balm due to its antibacterial, anti inflammatory and healing compounds. The blend of chamomile and calendula is excellent for eczema and has a calming effect on baby.